This is not a good year from bluebonnets here but we do have a few. So use your imagination, and visit this make-believe peaceful country scene. Can you feel the breeze? 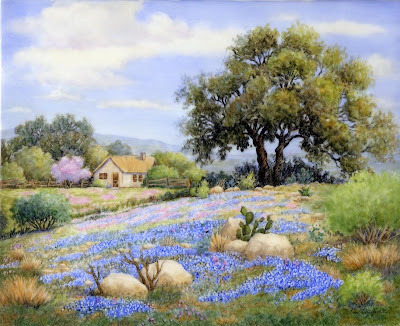 Do you smell the bluebonnets. Now if the wild turkeys or deer will amble through, it will be perfect.